The Center for Advanced Medicine for the Medical University of South Carolina is a multi-phase, multi-building complex design. 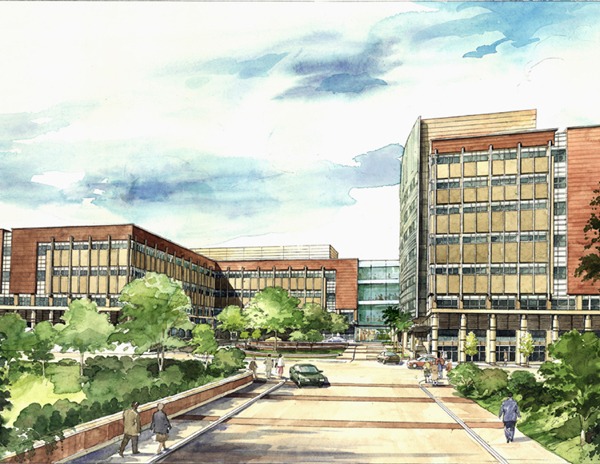 The design includes a seven-story patient tower and a four-story Diagnostic and Treatment Building (500,000 SF), central energy plant (25,500 SF), parking garage (75,580 SF), and various associated site elements including driveways, parking, sidewalks, loading docks, utilities, storm drainage, and roadway improvements. For more info on the design and engineering of this "facility that could overcome hurricanes, earthquakes, floods and terrible soil conditions," read more.